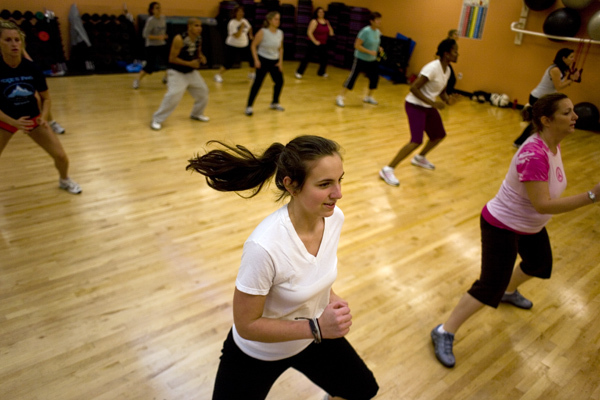 Cardio Kick is a group fitness class putting fun back into working out! Each class features empowering fight combinations which focuses on speed, endurance, and high intensity interval training all set to high-energy music. Then every class ends with core strength training and stretching, sending you on your way feeling great about yourself. The benefits of Cardio Kick include improvement of heart and lung function and risk reduction of heart disease. Cardio Kick also tones and shapes key muscle groups as well as burn lots of calories for a leaner body. With Cardio Kick you will improves coordination, agility, core strength, and especially increase self confidence and happiness. Come join the fight for a healthier you!